They are back on sale again! If you are interested in bargain-price but name-brand athletic shoes, the new condition (inside the official shoe box) FILA Memory Foam Narrow Escape Training shoe in the Men’s design, in sizes 7.5 up to 12, for $20 with free shipping at the official FILA eBay outlet. Limit five pairs per model per eBay customer at the moment. I purchased them during a previous sale last summer and posted an unboxing blog post. If you are a fan of Fossil watches, eBay seller “Watch Gooroo” (99.8%) is offering the new condition with tag Fossil Men’s Grant 44mm Chronograph Leather Watch for $55 with free shipping. Limit five per customer at the sale price. They have three duo-tone color schemes available for purchase. Over 600 units have been sold so far! It’s not a Dyson sphere. It’s a Dyson vacuum! The official Dyson outlet store on eBay is running a coupon code promotion until 10/16/17 at 8am pacific! Enter coupon code P25DYSONOUTLET in the eBay shopping cart on eligible products offered and you will get a 25% off discount. The maximum discount received by the coupon is $75. Items must be priced individually at $50 or higher. That’s why the 41 items you see at the promotional page are all priced above $50. The FILA eBay store strikes again with another good deal with free shipping, it is the new condition with the customary shoe box Fila Women’s Ascent 12 Trail Shoe on sale for $20 with free shipping in two color options and various sizes. 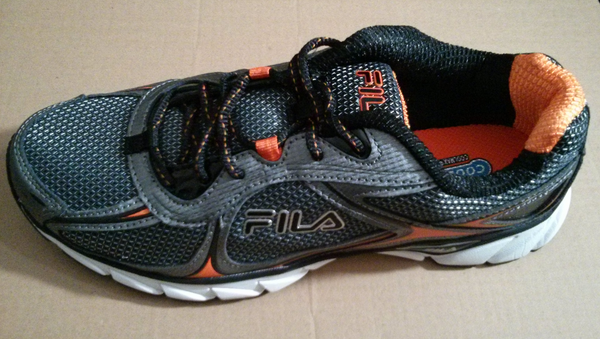 I haven’t bought this particular shoe, but I bought a couple of others from the FILA eBay store. Here is my unboxing (only pictures and text; no annoying video) of a different shoe! Al Bundy is now an eBay shoe salesman 🙂 It’s another athletic shoe sale from FILA’s eBay Outlet store, it is the new condition (with box) Fila Men’s Decimus 3 Training Shoe on sale for $25 with free shipping for all. It is available in sizes 7 through 13, with some half numbers in-between as well. Limit five per customer. It is only available in one color scheme (white, gray, black). I’ve had good luck with my two purchases from the FILA eBay Outlet. I haven’t bought this particular shoe, but I have an unboxing post for a different model ~ so you can see what you can expect to receive. 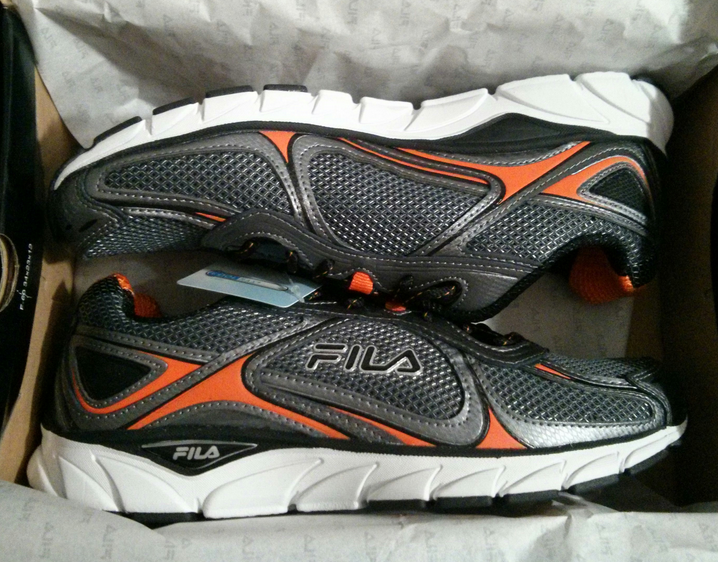 The FILA eBay Outlet store is proving to be a good source of budget $20-ish exercise shoes. Their latest model on sale is the new condition (in official FILA box) Fila Men’s Royalty 2 Running Shoes offered for $22 with free shipping. They are available in sizes 7-13 and currently have four different color schemes available. Limit five per combo per customer. 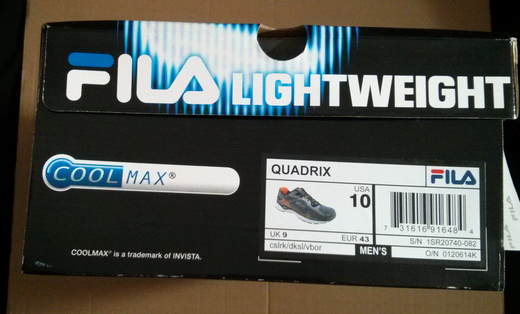 It’s name-brand but bargain-price athletic shoe time now! You can get the new condition (inside the official shoe box) FILA Memory Foam Narrow Escape Training shoe in the Men’s design, in sizes 7.5 up to 13, for $22 with free shipping at the official FILA eBay outlet. Limit five pairs per model per eBay customer at the moment. Shoe time! 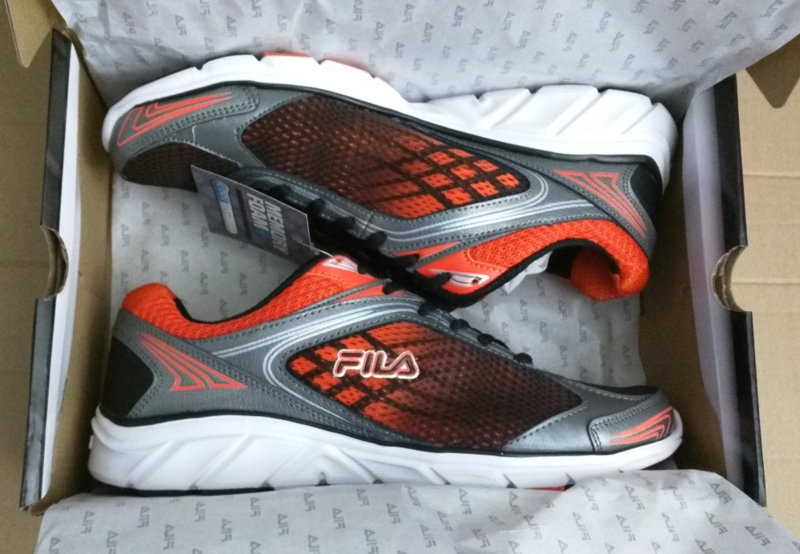 If you need a lightweight running/athletic shoe, FILA’s very own eBay store is offering new condition Fila Men’s Quadrix Running Shoes for $25 with free shipping per pair. Four different color schemes are available, and various sizes too. Some of the combinations are not available, so be sure to check to see if your favorite combos are available. If you need a budget Android phone that is actually usable considering the price, the new condition Tracfone edition of the Motorola Moto E is on sale for $20 with free shipping by ShopCellDeals on eBay. They have a 99.5% feedback score and they ship from Virginia. Over 3650 phones got sold so far from this listing. Tracfone is a prepaid seller, so you are under no obligation to start or transfer or continue service with them. It’s all up to you. Note however that the Tracfone is the only wireless carrier that you can use this phone with. The specs are basic on the phone, but the Moto E was part of the earlier budget wave started by the Illinois pre-Google pre-Lenovo version of Motorola, along with the Moto G and the Moto X. It has a 4.3″ qHD screen, “q” in this case is “quarter HD”, not “quad HD”, which translates to 960 x 540 pixels. It runs on a dual core 1.2GHz processor and Android 4.4.
eBay is running a new targeted (I think) promotion to reactivate eBay users who haven’t listed items in recent months/years. This promotion is sent to qualifying customers to their emails and/or eBay Messages (depending on how your communication preferences are setup), and to join in, you have to manually click on the blue “Claim Offer” button in the email, and after you do that, you have to click on the green “Activate Offer” button. Once you do all that, you will get a confirmation message that the offer is active on your account. The terms are simple as you can see from the screenshot above, with the important things underlined. If you want to be an OTA cordcutter but still have rudimentary DVR functions, there’s a number of chinese budget boxes under $40 floating around. One of those options is currently on sale on eBay, it is the ViewTV AT-163 Converter Box going for $28 with free shipping and handling. This ships from New York and already over 740 units got sold from this particular offer. I haven’t used this particular ViewTV model, but I am using a similarly-priced model that is in the same ballpark in terms of features, the Mediasonic HW-150PVR. I still have to write-up the full review, but to cut a long story short, if you are comfortable programming a VCR, you should be fine with its user interface. I am not even using an external hard drive on mine, just this tiny 128GB USB 3.0 flash drive. It takes up no space, and requires no external power!